To honour the royal wedding I thought that this simple and aptly named cocktail would be just the thing! 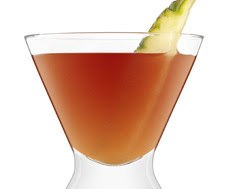 To a cocktail shaker filled with ice, add Prince Igor Premium vodka, cranberry and pineapple juices. What will you be toasting the royal couple with this weekend? That sounds delicious! I will have to try this one soon!